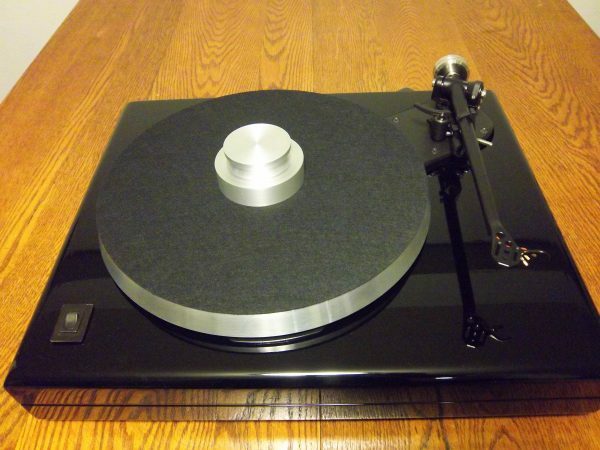 “Baby Grand” AR the Turntable in Piano Black, Rega RB-303, Many Mods. 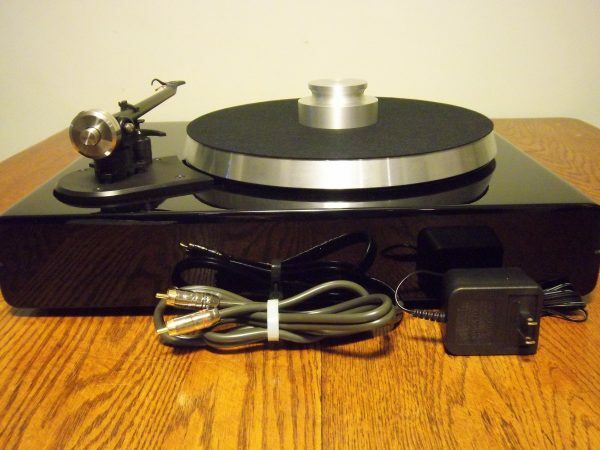 Why spend more to buy a refurbished AR turntable from Vinyl Nirvana? Is the motor running silently? Any unhealthy bearing noise? Is the spindle straight? Was the spindle cleaned of old belt residue, which can cause rumble? Does the belt properly interface with the spindle on both 33 and 45 rpm? Is the belt new or in near mint condition? Has the platter bearing been inspected? Is it straight, true, and without significant wear? Has the platter bearing well been inspected? Was it cleaned of old grease and contaminants? Was it properly lubed with appropriate oil? Is the tonearm functioning properly? Any significant side-to-side motion, which can adversely affect tracking? Is range of motion appropriate? Is anti-skate functioning? 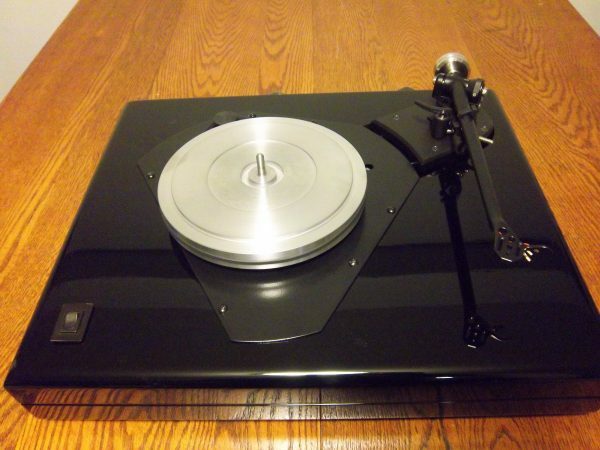 Is appropriate tonearm weight installed? Is transport screw intact? Is it functioning properly? Are dust cover hinges intact and not stripped? Was all wiring beneath the turntable inspected? Were worn solder joints re-soldered? What is the condition of the AC cord? The interconnect cable? Was the speed checked by strobodisc at 33 and 45 rpm? Was headshell inspected? Is there any stripping? Do the cartridge screws hold tight? Are the leads brittle? Is the tonearm rest original? Is it functioning properly? Is a proper mat installed? Is the base intact? Are the rubber feet intact? 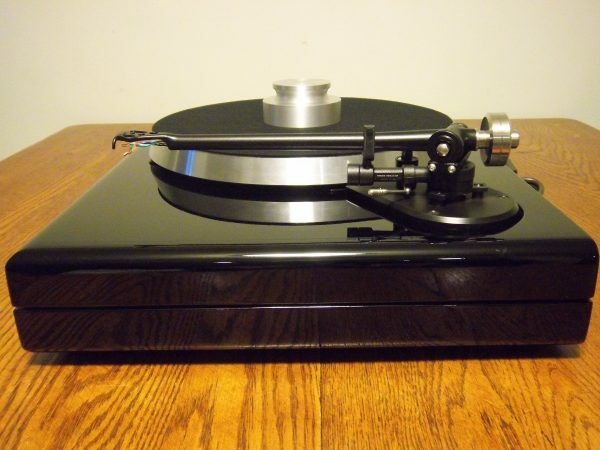 If an AR table fails to pass any of the above inspections, Vinyl Nirvana corrects the problem before it gets listed. If the turntable is unsellable due to too many defects, it becomes a parts unit to be used in the restoration of other AR units. In addition to this multi-step inspection, each turntable is thoroughly detailed with appropriate cleaners. The average cleaning takes up to two hours. Though the tables Vinyl Nirvana sells will vary cosmetically, they will always be clean. 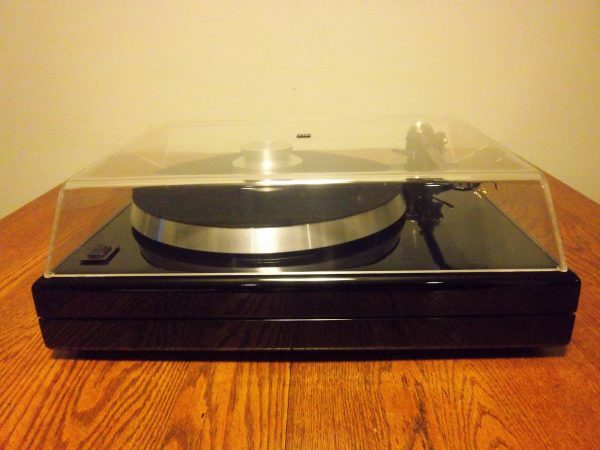 Can you trust Vinyl Nirvana as a seller? Please read our ebay feedback (username vinylnirvana3345) regarding sales of turntables. Notice references to item exactly as described. Notice references to excellent packing. Notice references to our service and committment after the sale. Then see our testimonial page linked on the “For Sale” page. If you are familiar with AR lore, you know that there were a very limited number of AR ETL-1s produced with a piano black finish. In my whole career working with these turntables, I have come across only one. 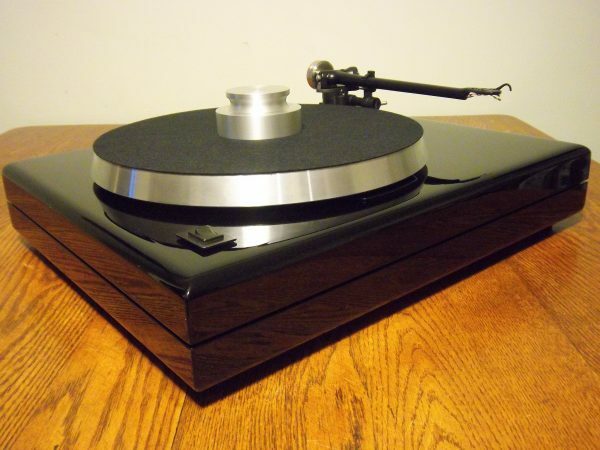 (See my Gallery page) I love wood and wood finishes as much as anyone who loves vintage, but there is something about that black ETL-1 that sets my heart racing. Inspired by the ETL-1 in piano-black, I commissioned this special base. I want to emphasize two things: 1) This finish is professionally done. This is not made in my backyard with a few cans of paint. This is a professionally applied and built up piano black finish. 2) The finish was applied over an existing AR the turntable plinth that was professionally prepared by an experienced auto body professional. I would wager 99% of the original imperfections in the original plinth were accounted for, however, if you are a paint professional, and you examine it long enough, you will likely discover those very slight imperfections. For the rest of us, it is nothing but dropdead gorgeous. Overall, with the top metal plate also newly and professionally painted, I would rate the unit a solid 9.5. The dust cover is 30 years old, and shows some wear and very slight marring, but nothing that detracts from the total package. Because of the special nature of the plinth, I nickname the piano-black turntables “Baby Grand.” Fitting that stature, I have installed many of the AR upgrades: new shaft/spindle, new co-polymer pulley, new springs/studs. Finally, I installed the new upgrade motor sourced by George Merrill; it has been a universal success, solving many of the issues in the stock motor. The Bren weight is also included at the sale price. If the new owner wishes, we can discuss upgrading the rest of the platter system with the acrylic platter and outer clamp ring. I can make an attractive package price. 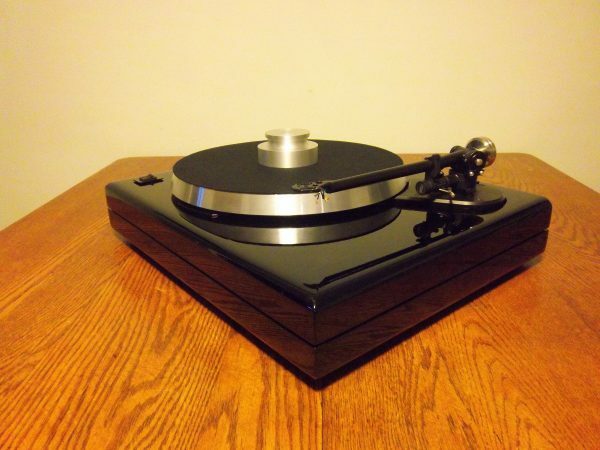 If you purchase this table, we can discuss cartridge options as part of the sale. I have several recommendations. If I mount and align your cartridge, it makes set-up in your home incredibly easy, plus you get the peace of mind it’s been done right. With the beauty of these finishes, comes responsibility. I will include with the sale an air duster, a microfiber cloth, and some special cleaner/polish recommended for upkeep. I will also include a set of white gloves for removal of the turntable from the packaging and placement on its rack. If one is reasonably careful, and one uses the air duster instead of a cloth for regular dusting, this finish, like a car finish, can last a long long time. This table will be packed like it is a fragile pane of glass. I simply care too much for these tables to just shove them in a box. I will carefully pack the table in extra sturdy boxes. and bubble wrap. I prefer Fedex Ground. What I love best is introducing someone new to the joys of vinyl, getting someone back into vinyl who left it for the “superiority” of cds, or helping someone else who does appreciate it to “move up.” In that regard, I do what few sellers do…if the buyer needs it, I can supply up to one hour of help by phone with set up. (At a mutually arranged time.) In general, most buyers don’t need it, but if there IS a problem, I am there. 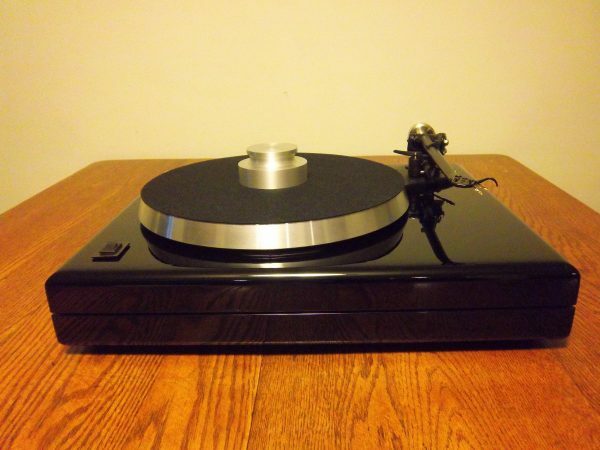 Email me if you are interested in purchasing this turntable or another one I have slated for restoration.